The Tsuchimochi clan existed for seven hundred years in Northern Hyuga. Tsuchimochi Chikanari, Wakasa no Kami, was noted Daimyo (warlord) and held Matsuo castle in Mimigawa, Kyushu. 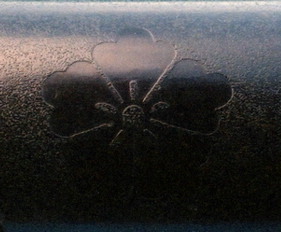 Tsuchimochi Chikanari became a retainer of Itô Yoshisuke. During the year of 1578, Chikanari, a warrior of some ability, betrayed Ito Yoshisuke and joined the invading army of the Shimazu clan. The Otomo campaigned to subdue Hyuga that same year. The first resistance they encountered was that of Tsuchimochi Chikanari, lord of Matsuo Castle. When the Shimazu were unable to arrive in time, the advancing Otomo quickly crushed the pro-Shimazu lord (and former Ito retainer) and Chikanari was forced to commit suicide. His lands were given to Ôtomo retainers.